Madhabkunda waterfall is one of the most attractive tourist spots in Sylhet division. Lots of tourists and picnic parties come to Madhabkunda every day for their enjoyment. You can go to Madhabkunda either from Sylhet if you go by road or from Kulaura if you go by train. From Kulaura rail station its about one hour journey by microbus to Madhabkunda. The journey to Madhabkunda itself is exotic. 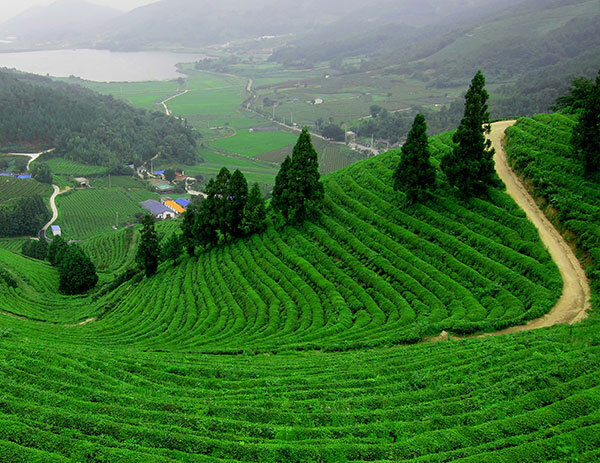 On the way you can see the greenish beauty of tea garden, the hills and the zigzag road through the hills will increase the joy of your journey. In Madhabkunda you will see the great waterfall – falls of million tons of water form 200ft. height. Big bolder of stones and the black stones in giving a shape of care in Madhabkundu. There is a Parjatan Motel with a good restaurant for accommodation and fooding. There is also a district council Bunglow for night stay. Here you can enjoy adventurous feelings to stay in a jungle. All you need to have a prior booking for the bunglow from Moulvibazar Zilla Parishad office. Lawacherra Rain Forest is one of the important & well-reserved forests in Bangladesh. Here visitor may see gibbons swimming through the trees and birds like bee-eater owls parrot. It is a good habitant of Deer, leopard, wild chicken, squirrel, and python. Don't miss it especially if you are bird watcher. The terrain is hilly and vegetation is fairly thick. Only one rare Chloroform tree of Asia is prime attraction. Khasia & Manipuri is two important ethnic-tribe live here. Manipuri is famous for its rich culture especially for dancing, singing. They are also famous for their traditional weaving. You can buy their handicrafts exquisitely woven woolen. Shawls, Sharee, Napkin, bed-cover and some should a bags. It is known as colorful community. Khasia tribe is famous for their betel leaf cultivation. They make their villages high on hilltop in deep forest and so far from town. It is like "A Piece of Paradise". Certainly it will please you. Pineapple cultivation - Sweetest and best quality pineapples grown here in Bangladesh. Pineapple is really a greatest offer of summer but now it is cultivated round the year. So, you can enjoy the juicy summer fruit in any time coming to its real field. For accommodation at Sylhet town, some reasonably good hotels are available. Rest-house accommodation at Srimangal and other places are also available for tourists.